Fender benders are usually sudden and unexpected. They happen in the most unlikely places. Let’s define fender bender and compare it to other auto accidents before we go further. According to Dictionary.com fender benders is a minor collision between motor vehicles. In many cases these type of collisions do minor damage to vehicles, be it bumper damage or paint chipping. In our last article we looked at major auto accidents and discussed what to do right after an accident. Today we’ll look at a lesser version of an auto accidents and what you should do right after. The first thing to realize is that even a small fender bender is an accident and should be treated as seriously as you would in any auto accident. The main reason for this is because damage is done and someone is ultimately responsible for it. You may not care about the small dent on your car, but does the other driver care? Is he/she likely to sue you for damages? Because of these reasons, it’s important to take the correct steps to make sure that this fender bender situation doesn’t turn into a bigger problem for you or the other driver. Fender benders tend to happen at the worst possible times. Roughly 15% of all fender benders happen in the parking lot. Imagine spending a couple of hours grocery shopping only to end up with a fender bender as you leave the store’s parking lot. It’s no fun. The worst thing you can do is get agitated further. Take a deep breath and collect your thoughts. It’s important that you exchange information with the other driver. 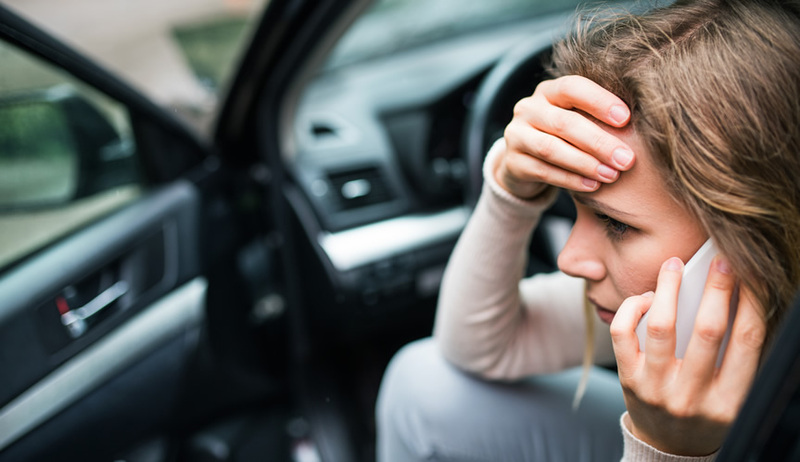 It may seem like a small issue but by exchanging information you ensure the other driver cannot claim that you fled the scene and make things worse for you. You may also need this information in case you choose to file a claim with your insurance. At the very minimum, get the other driver’s name, Drivers License number, insurance card (take a picture) and the vehicle’s tag number. Taking pictures will help with the claim. A number of insurance companies insist on photos or in some cases may expedite your claim. Try to take a wide angle picture from a few feet away as well as a close up shot to show the details of the damage. Photos will help you get all your dings accounted for and fixed. Getting your car back in shape is the last, but certainly not least, step you need to take. Take time to choose a reputable, certified auto collision shop in your area. You’ll be happy you did when you see your newly repaired car. Your car may need paint work done and fixing dents on the body of the car. Insist on paintless dent repair unless otherwise advised because it’ll save you money, compared to other methods of fixing dents. If you’d like to know more about how paintless dent repair works, read this article on our blog. When you are in a fender bender or any auto accident, you need your car fixed right. Davis Paint & Collision Auto Center is certified to work on your car. Our team of highly trained auto mechanics will help get you back in shape. Call one of our locations today: Oklahoma City location (405) 733-9797 or Midwest City location (405) 732-0762.